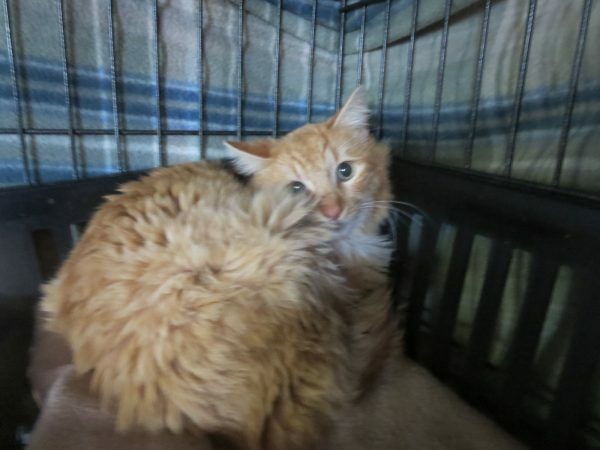 This guy is scared, once living on the street now in a kennel to adjust here at the Cat House. He was not neutered so a trip to Snipped was in order, no un-fixed felines at the Cat House. If everyone would fix their pets, we wouldn’t have much rescue to do except re-home those left behind for what ever reason. If you are missing a cat, please don’t just call, come take a look. We get so busy, we often don’t know your animal even if you send a picture or describe it. Kohl’s number 541-294-3876.